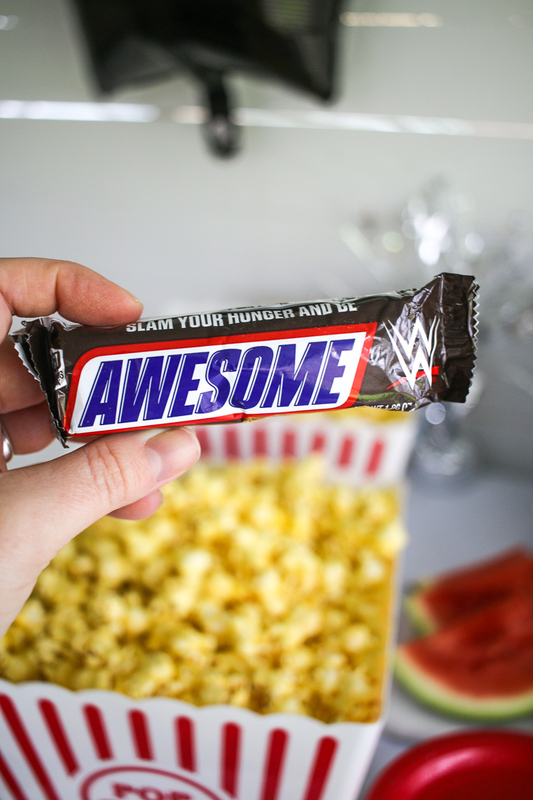 This post has been sponsored by Mars Wrigley Confectionery and WWE®. All thoughts and opinions are my own. 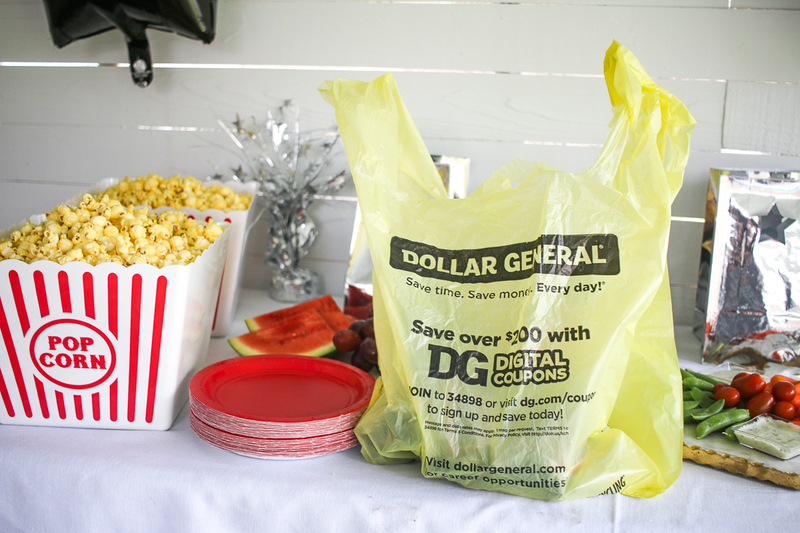 When my husband called me to say, “Hey, let’s have a WWE® watch party tonight…” you know, as in a few hours from when he called me, I quickly ran to the closest Dollar General® to stock up on my party needs for a watch party at our house. 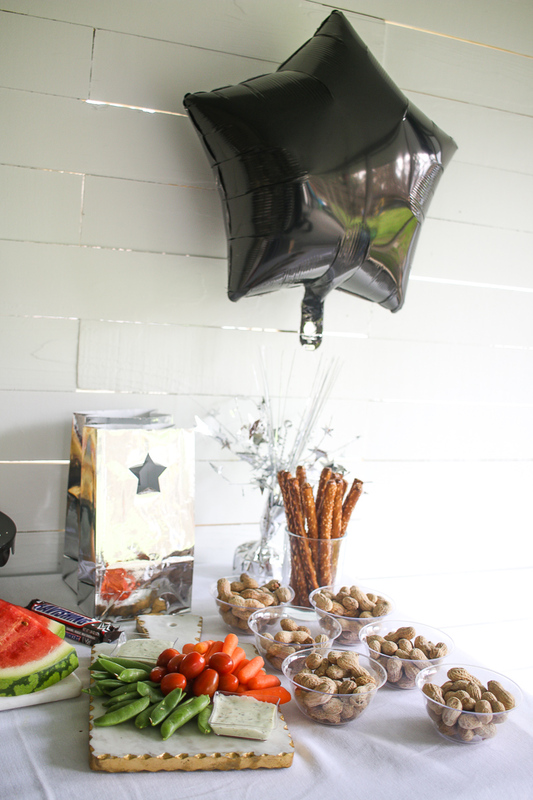 I quickly pulled together some thoughts of what I’d want to serve to my guests. 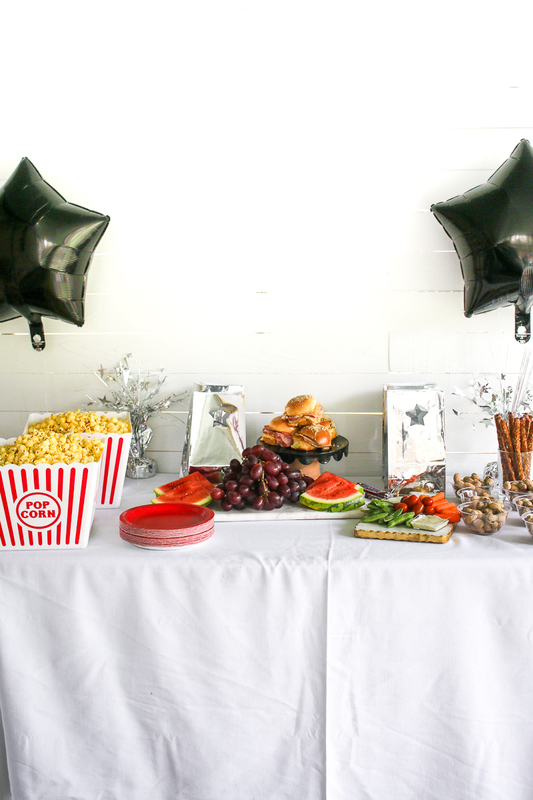 With some quick thinking, I grabbed some neutral party decor (black, white, silver & anything with stars), some salty snacks and goody bag must-haves. 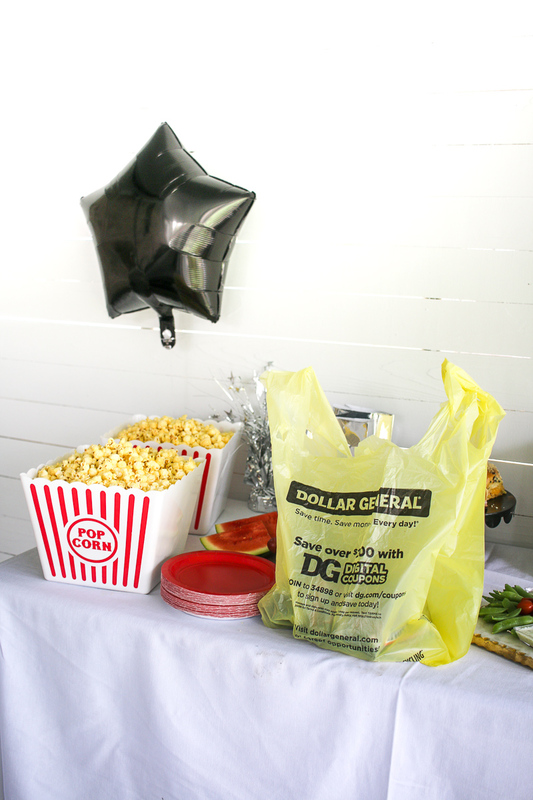 You can find all of these items at your local Dollar General®. 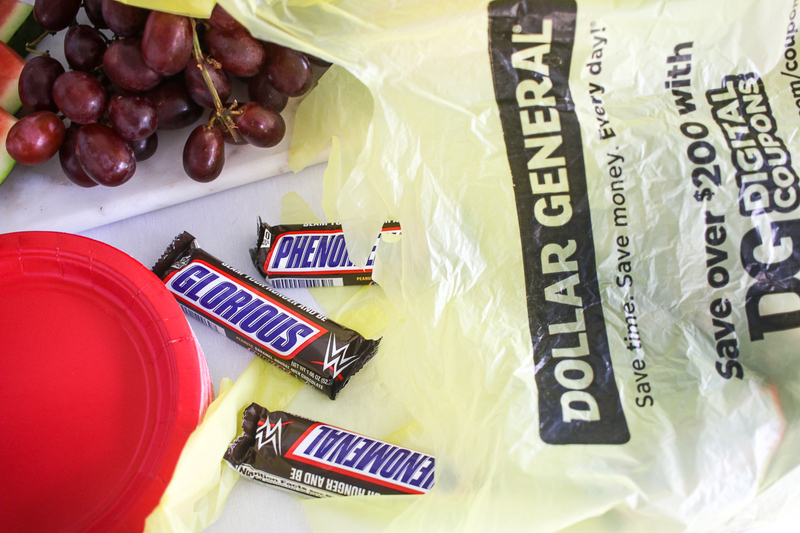 I knew I needed to grab SNICKERS® Hunger Bars with WWE®, they are available only at Dollar General® for a limited time and a perfectly themed addition to our spread. Oh! 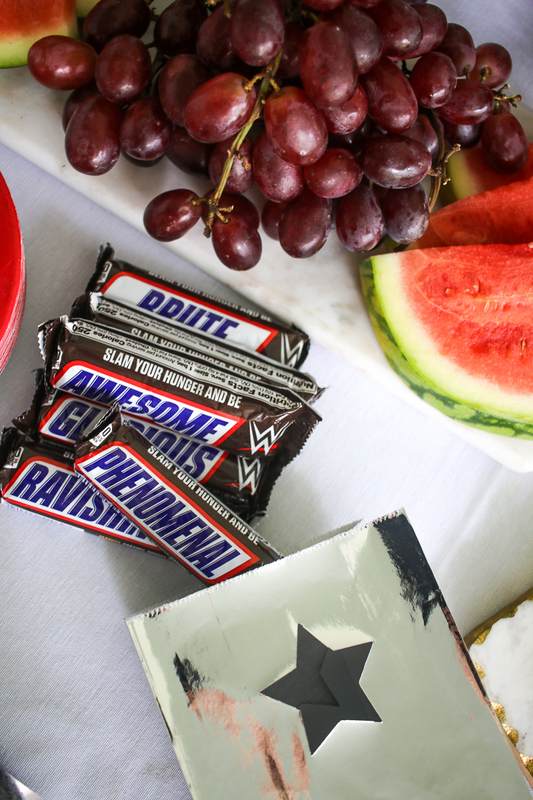 And don’t forget to use your digital coupon for Buy 3, Get 1 Free when grabbing your SNICKERS® Hunger Bars with WWE® to put into your swag bags. 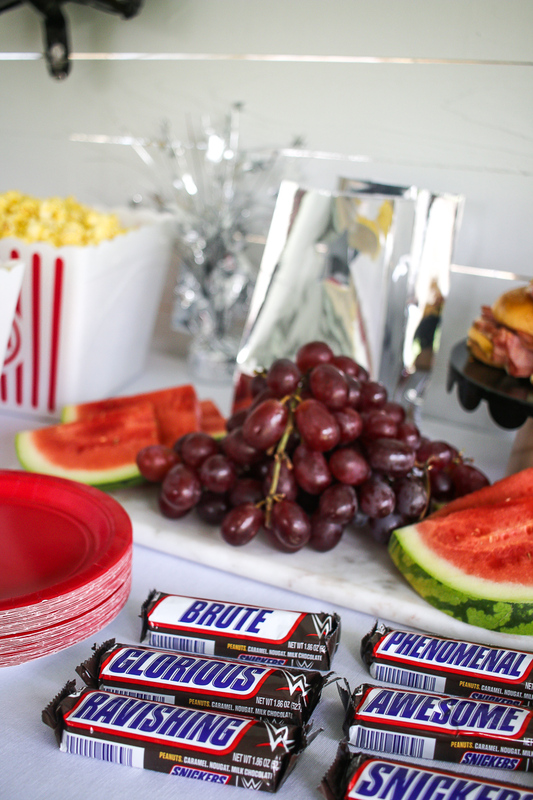 My food spread for the ultimate watch party includes salty, sweet, savory, and fresh fruit and veggies. 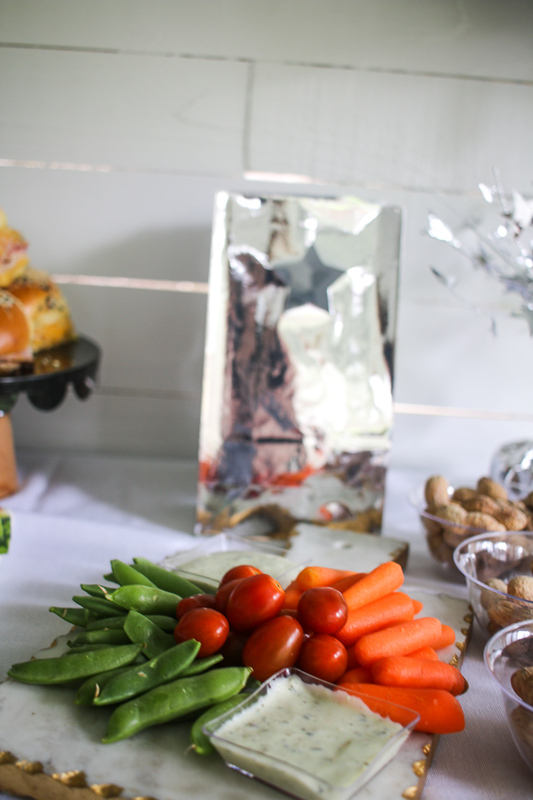 I like to cover all my bases when feeding a crowd—including my favorite sliders! 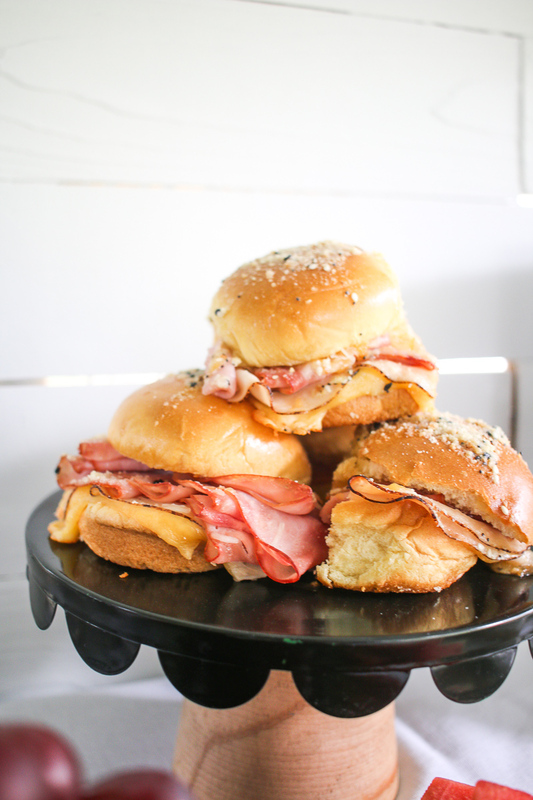 I like to call these easy sandwiches my Super Star Sliders; they are beyond simple and always a crowd pleaser! 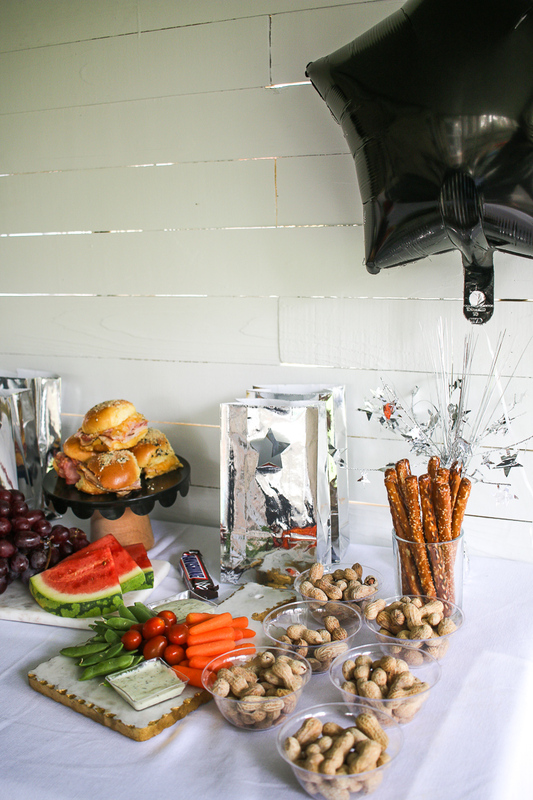 Preheat oven to 350 degrees F. Grease a 9×13-inch baking dish. 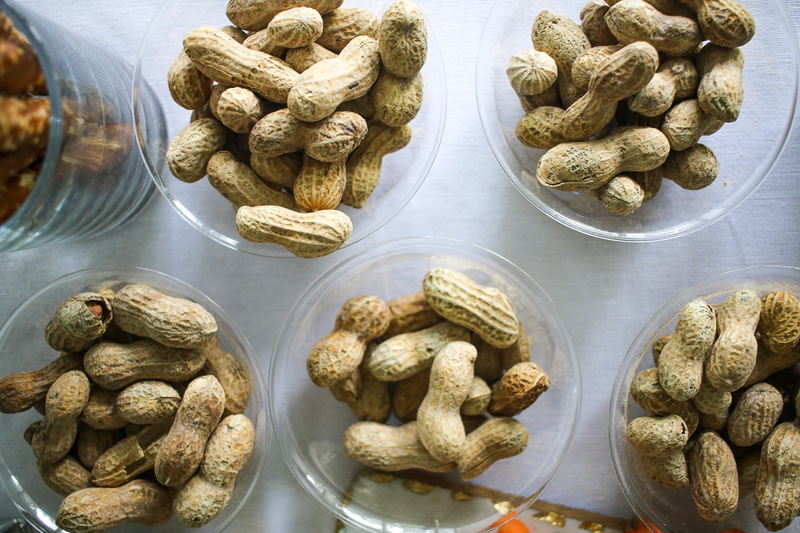 In a bowl, mix together butter, Dijon mustard, Worcestershire sauce, poppy seeds, and dried onion. Separate the tops from bottoms of the rolls, and place the bottom pieces into the prepared baking dish. Layer about half the deli meat onto the rolls. 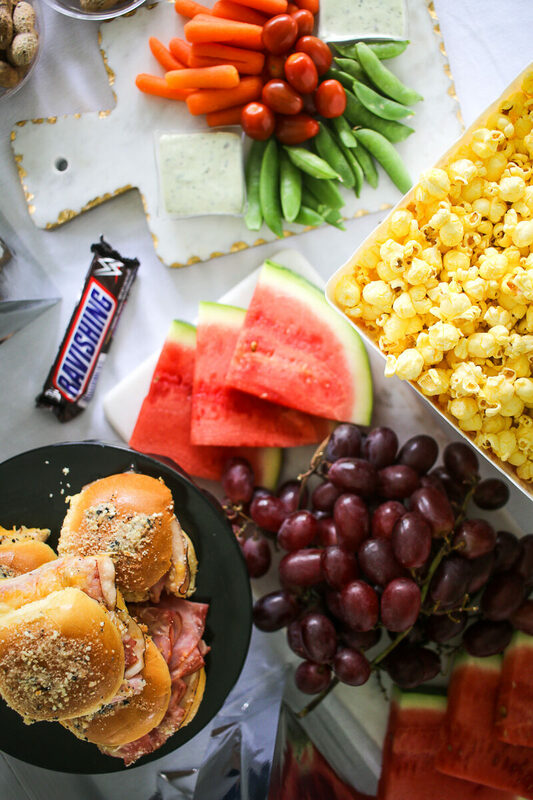 Arrange the cheese over the deli meat, and top with remaining deli meat slices in a layer. 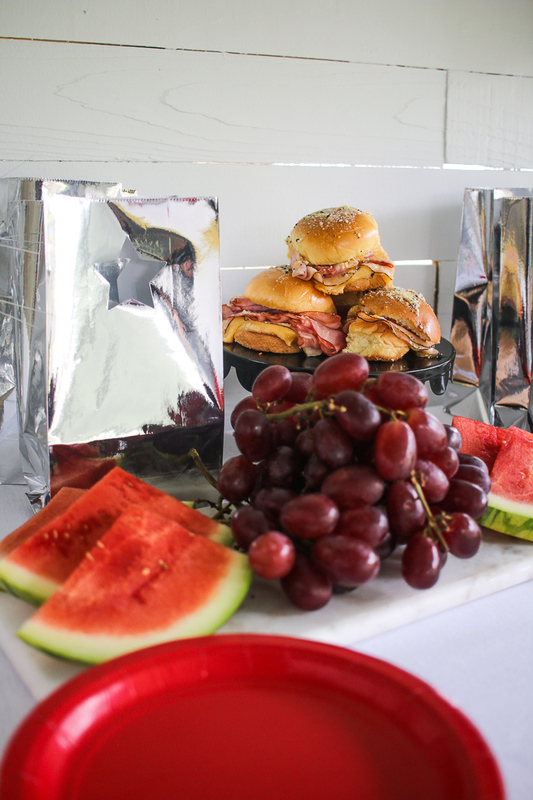 Place the tops of the rolls onto the sandwiches. Pour the mustard mixture evenly over the rolls. Bake in the preheated oven until the rolls are lightly browned and the cheese has melted, about 20 minutes. Slice into individual rolls to serve.